“I can post a painting and it will sell before the paint is dry,” explains Ashley Longshore, who sells her eccentric pop art for upwards of $30,000 straight off of Instagram. And, she’s not the only one. Artist Chris Austin enjoys “flash sales” of his latest work, getting emails from eager buyers within minutes of posting on Instagram. With these examples and more in mind, it’s safe to say Instagram has become the social media platform for artists. It’s launching careers, eliminating the need for big-name critics to call the shots, and helping artists connect with buyers across the globe willing to pay for their work. So, how does an artist turn their Instagram feed into another revenue stream? It all comes down to getting more engaged followers. Because, the more popular your account is on Instagram, the more in demand your art will be. 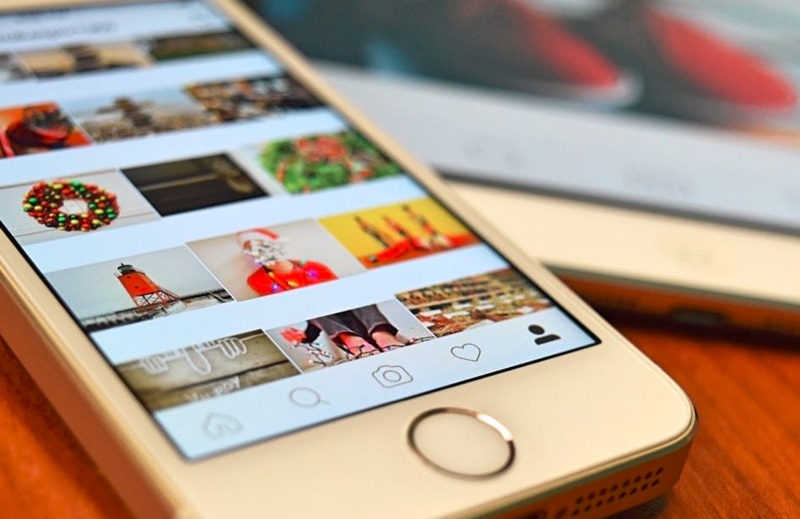 To help you get started, check out seven things you can improve on your Instagram account to attract more followers. You wouldn’t dream of letting a piece out of your studio until you were satisfied with it, right? Well, you need that same attention to detail in your Instagram posts! Your Instagram account is an extension of who you are both creatively and professionally. Blurry, poorly-lit images give off a bad creative vibe—pretty much saying you don’t understand design. And, who wants to buy art from an artist who doesn’t understand, or at least care about, good design? A clean background and natural light are always a good option when it comes to capturing your artwork. Set your art up by the nearest window, and remember to tap on your phone screen to focus! Branding can be an elusive concept. But it basically means posting images about different things, but using the same style (both in aesthetics and in writing) for each image. Why bother? It’s really a magical thing! In an instant, followers will understand who you are and what your art is all about, even with their short attention spans online. Artist Sue Rapley has a beautiful account—light, colorful, natural, inviting. Buyers can instantly get a feel for her art and decide on the spot if they are interested in buying. If they are, they can already tell she’s a credible artist from her impressive feed, giving her an edge up when it comes to collecting. As far as branding your images goes, the possibilities are endless! Whether you use a certain filter, hashtag, language, etc., find and stick to a style that represents you and your art so that your target customers are poised to buy. In 2014, artist Ross Symons dedicated his entire year to origami, improving his craft and sharing it with the world on Instagram. He folded and posted a different origami figure every day, and in 18 months, he had increased his following from just 120 to over 100,000. With White on Rice’s strong brand and incredible content, Ross was able to quit his 9-to-5 job and use Instagram as a platform for his own business. Isn’t that amazing? This just goes to show, you can’t underestimate the power of posting really interesting content. When people are wowed by your work on Instagram, they follow you, share it, and get others to follow you, too. The door is then opened for you to sell more art and hear about other profitable opportunities. Here’s a picture of my art you know nothing about and here is the price—something seems a bit off about that sort of caption, doesn’t it? There’s no hook. No pizzazz. No story! It may be an incredible piece at first look, but there’s always more to it than meets the eye. Letting people in on your inspirations, process, and story behind the work can be the tipping point for customers to click emotionally and pull out the checkbook. Of course, you can acknowledge when something is still for sale, but be creative about it. Ending with, “Excited to see where this piece finds a home!” does the trick without being too boring. Hashtags are like maps in the land of Instagram. They make your posts discoverable for the people searching for art like yours, making them one of the biggest and best ways to grow your fanbase. Which hashtags reign supreme? Well, it takes a little digging to find the answer. Your first plan of action should be using the search feature in the app. After typing in keywords that relate to your art, other popular hashtags related to your search will pop up. Next, find artists who boast a large following and seem to have a good handle on their hashtag game. Check out which ones they are using (and how many) and take notes. Keep a list of the best ones you’ve found that you can pull from for different posts. Just be sure to match hashtags with what is going on in your image. #inthestudio won’t apply to every picture you post, and a mismatch can turn followers away. Finally, do some testing of your own and track how many hashtags get you the most engagement. Take the time to get hashtags down and you’ll be on your way to more followers in no time. While small, your bio should be not underestimated in its importance. It’s the only place where followers can click on a link, and the whole point of your account is to sell your work! You can change out the link depending on what you want to feature, but a link to your website or Artwork Archive Public Profile Page is the perfect place to send fans who want to peruse and purchase more available art. Paired with a short and sweet description dripping with personality, your Instagram account will be ready to go. Social media gurus at CoSchedule determined that posting one to two times a day on Instagram is the sweet spot. But no matter how many times you post, keep it regular! You need to stay fresh in people’s minds, not forgotten. It is a social networking app after all. Befriending other artists and influencers on Instagram who might someday share your work with their followers can open a lot of doors and help you gain followers of your own. Like other artists’ and galleries’ images, share helpful comments, and don’t be afraid to connect your contact list. Here’s yet another way to make money from your artist Instagram account that you might not have realized: when your following becomes big enough, companies might be willing to pay you to promote their products in your posts. Of course, you need to truly love and believe in the quality of that paintbrush, clay, or watercolor paper, but it’s a great way to rake in some extra money for your Instagram efforts. The bigger the Instagram fan base, the more interested buyers will be fighting over your art. 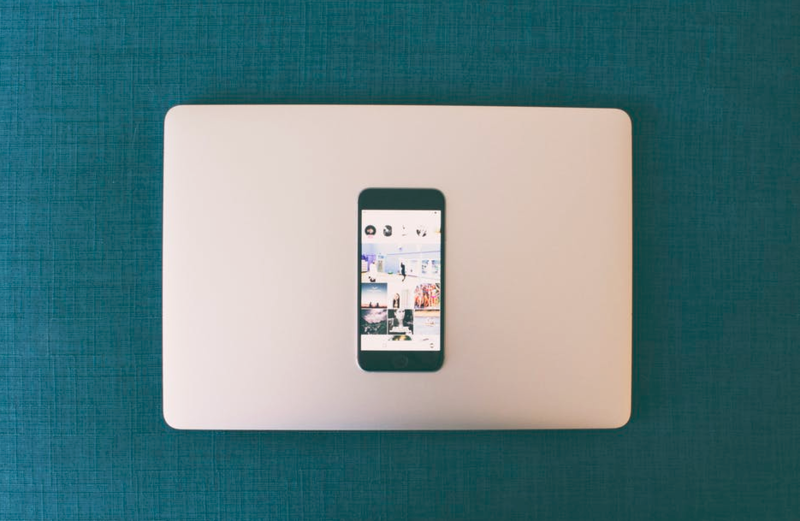 Following these steps for getting more art fans on Instagram will help you turn the social media app into something profitable for your art business. If you are not already using Artwork Archive, give it a try with no commitments. Want to appear more professional and impress buyers in a flash? Here are 5 ways to use Portfolio Pages to advance your art career. How do you define success ? What is your strategy for coping with stress? Answer these 7 questions routinely to keep your art practice going in the right direction. Impress clients. Stay organized. Strategize for success. Save time. All with one-click professional reports on Artwork Archive.